2-Year-Old Stakes- List of Stakes races offered for 2-year-olds. Listings include race, dates, age, state, track, distance, added money, nomination fees and contact information. 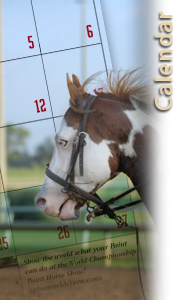 This calendar is for your convenience, APHA is not always notified of changes. 3-Year-Old Stakes- List of Stakes races offered for 3-year-olds. Listings include race, dates, age, state, track, distance, added money, nomination fees and contact information. This calendar is for your convenience, APHA is not always notified of changes. Sales Calendar- List of upcoming auctions, deadlines and other important information. APHA Events- List of APHA seminars, workshops, conventions, meetings, deadlines, Stakes races and more.